Activism and participation in the 21st century has changed. Citizens are increasingly living horizontal, connected lives, whereas governments and large institutions function vertically. 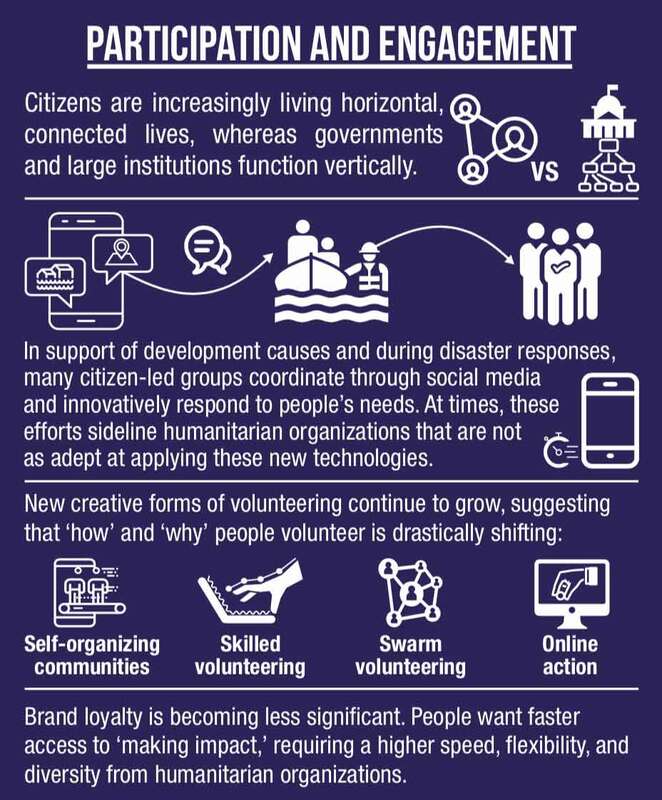 The rapid advent of technology has afforded new forms of volunteer participation to a wider section of society – including crisis-affected communities and global volunteer networks. This poses a challenge to the traditional linear approaches of information sharing – as emerging technologies are democratizing information access, participation and agency. There is a surge in the way citizens and communities are self-organizing and self-mobilizing. Not only is it an issue of citizen led mobilization, but it is also witness to citizen practitioners and citizen vigilantes who demonstrate a shift in power and decision making. Self-organization amongst and between non-traditional actors is accelerating, which can at times sideline humanitarian organizations that are not as quick or adept in applying these new technologies. For example, during disaster responses many citizen-led groups, coordinating through social media – and, enabled at great scale and pace by these technologies – self-mobilise and respond to people’s needs independent of formal institutions, and they sometimes do this more effectively. New, creative and innovative forms of volunteering continue to grow, including e-volunteering, online campaigning, direct action, skilled volunteering, swarm volunteering, self-organizing volunteering and combinations of all of these, indicating that how and why people volunteer is drastically changing. ‘Brand loyalty’ to one humanitarian organization will be less significant. Participation patterns and motivations will likely continue to change. In some countries people are volunteering for shorter periods of time, and want faster access to ‘making an impact’. This requires volunteer-involving organizations to demonstrate greater speed, flexibility and a greater diversity of engagement opportunities.  Volunteer recruitment and management needs to be proactive in adapting to the skills and interests of volunteers rather than serving as a reactive network. How do we create spaces to help people to make their own impact in the world rather than just recruiting them to deliver the organization’s impact? If the very nature of voluntary service is changing, would the RCRC movement attract fewer volunteers for shorter periods? As such, would the IFRC network of the future be one that has a differentiated focus on volunteering? How can National Societies engage with citizen-led movements, and with more dynamic, fast paced and flexible ways of engaging youth as active drivers of change? How can the RCRC ensure much more open access to engagement and distributed networking and decision making within a traditional structure? How will we ignite an urgent and renewed focus on volunteering and what it means in the 21st Century? Different models of organizing are not just limited to citizens and communities. They can also revolutionize how the RCRC organizes its own managerial models. Is there a future where IFRC is truly decentralized, localizing our efforts completely? When we start to think of different ways of organizing ourselves, we start to consider different ways of solving problems. Alternative models of organizing can also extend to different models of rights and responsibilities.